futsal., a photo by james veltmeyer on Flickr. 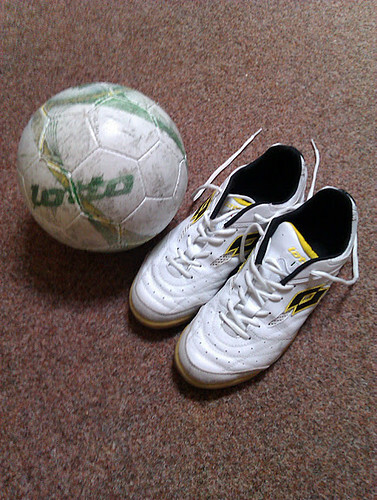 We played our last futsal match for the year last Thursday, I will miss it tomorrow. A group of blokes from church were having a kick on Thursday lunch times. By group I mean anything from 3-5. When it was 3 it was hard work. We would play one on one, goal keeper no hands and the person who scored would stay on and try and get the most wins, I think the best was about 5 in a row. It was a good break during the day and helped with our lack of fitness. Some blokes asked what we are going to do next year, so I think we will have to have season 2 in 2012.